Please tell us about your experience with us so we can better serve you, our customer! When you arrived at Scotland Motors we waited on you in a timely fashion. Our service team explained the recommended service/repairs. You received an accurate estimate for your service/repairs. You were happy with your vehicles condition when you picked it up. 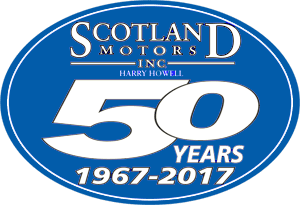 Overall your experience with Scotland Motors was a good one. Or Is There A Particular Person You Would Like To Mention?